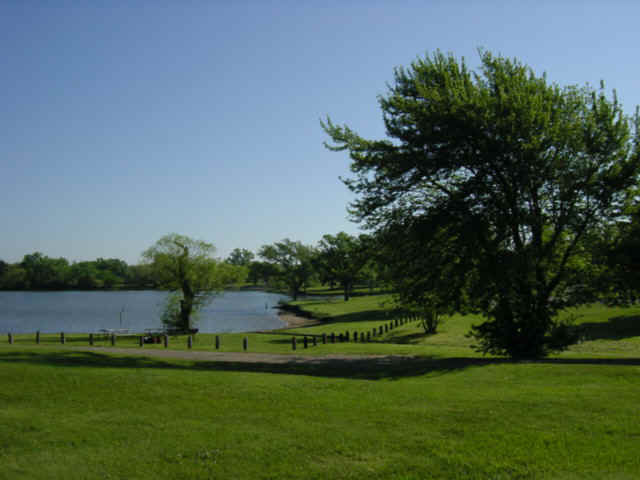 Lake Afton - All photos on this page by Jim Mason Located near the largest city in the state, Lake Afton can be crowded with picnickers, campers, boaters, and swimmers. In spite of the people, the trees surrounding the lake are ideal for nesting eastern and western kingbirds, northern orioles, and American robins. Watch for thirteen-lined ground squirrels in the open areas and ornate box turtles in the meadows. 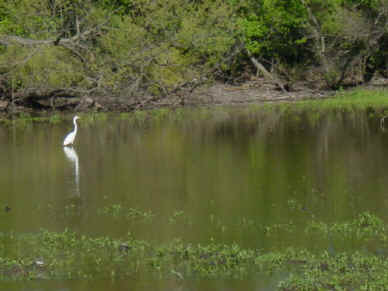 Great egrets, great blue herons and other waders are commonly seen along the shoreline. In spring and fall observe migrating white pelicans. Ducks, Canada geese, and gulls are present through the winter. The coves at the upper end of the lake offer cattail marshes and mudflats that can be productive when water levels are just right. Bullfrogs may be found along the edge of the water. Wildflowers are also abundant in the prairie meadows east of the access road on the east side of the lake. In early June as many as 50 species can be identified in a short walk. 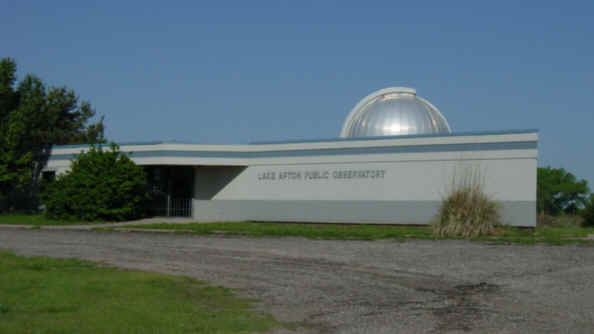 Of special interest is the Lake Afton Observatory open every Friday, Saturday, and Sunday evening. It is located just north of Macarthur Road (red dot on map.) Share the excitement of the night sky through the observatory's 16-inch telescope. Click the icon to find a birding list for Sedgwick County. Directions: Lake Afton is about 25 miles southwest of downtown Wichita on MacArthur Road at 247th Street West. It can also be reached from U.S. 54 by turning south at the Lake Afton sign at Viola Road 3 miles west of Goddard. Travel 3 miles south and 1 mile east to reach the lake. Ownership: Sedgwick County is responsible for management of Lake Afton. Contact them at (316) 794-2774 if you have specific questions about the use or management of the site, or use the response form on their website.